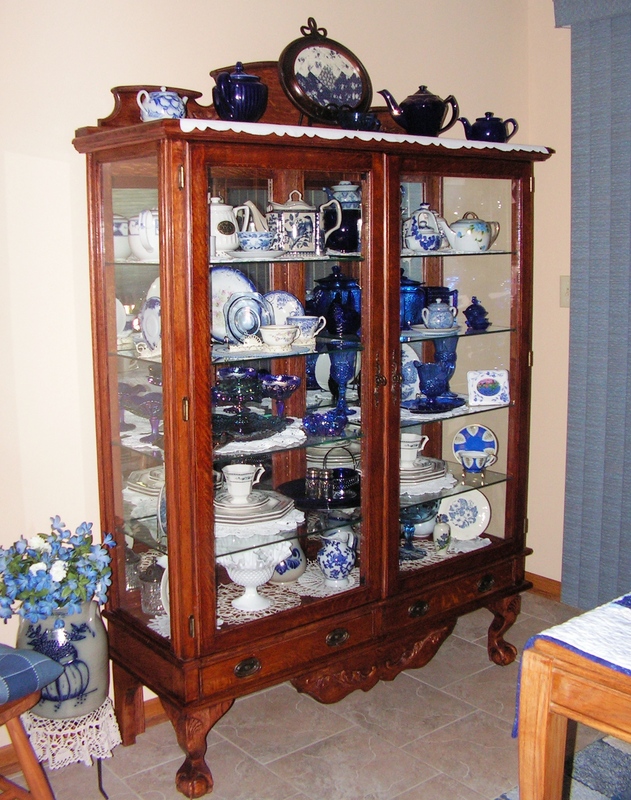 I recently created a Victorian china cabinet for a friend. This project was a lot of fun. 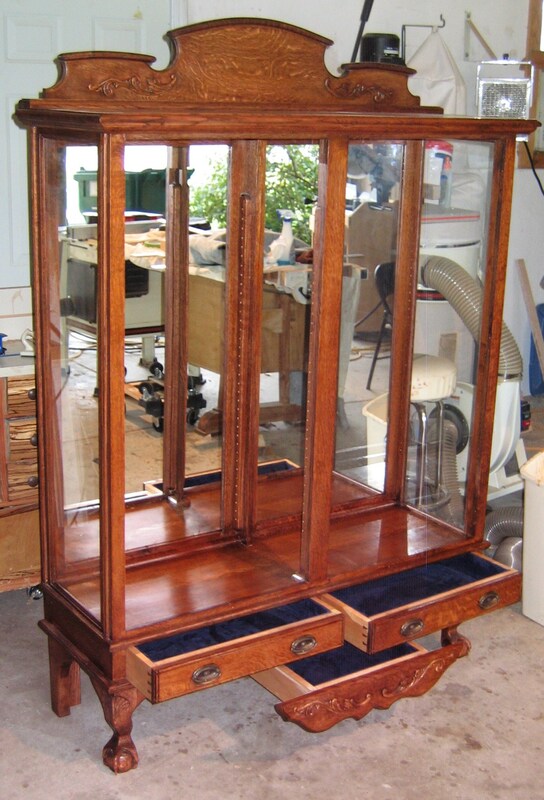 It allowed me to carve ball and claw legs, steam bend some of wood, velvet line the drawers, install a lot of glass and mirror, design a bottom pediment that also serves as a secret drawer, a lot of dovetails, and build it all out of some very beautiful old quarter sawn white oak. The base of this piece is made of old hickory that has been sitting around drying since the 70s. 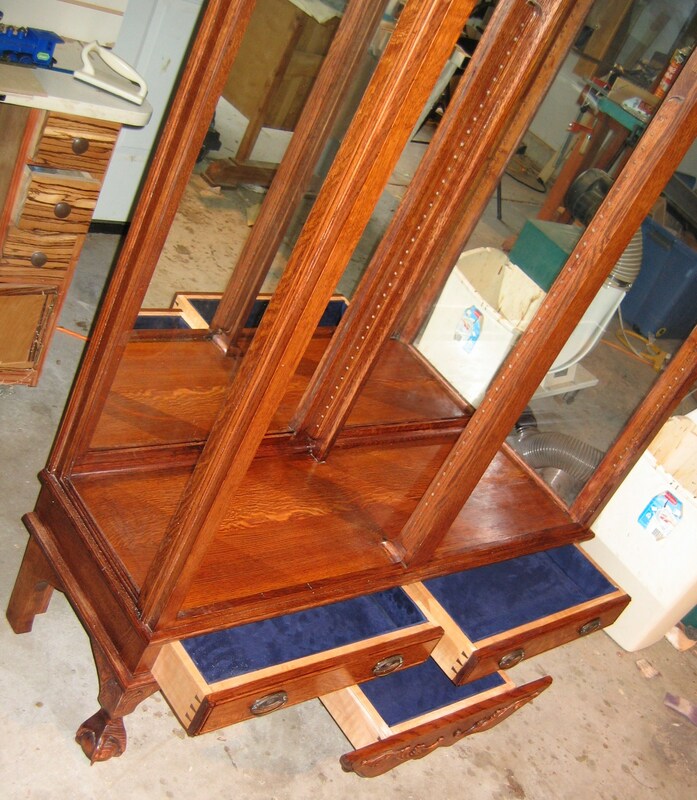 The first part of this project was the hickory base. 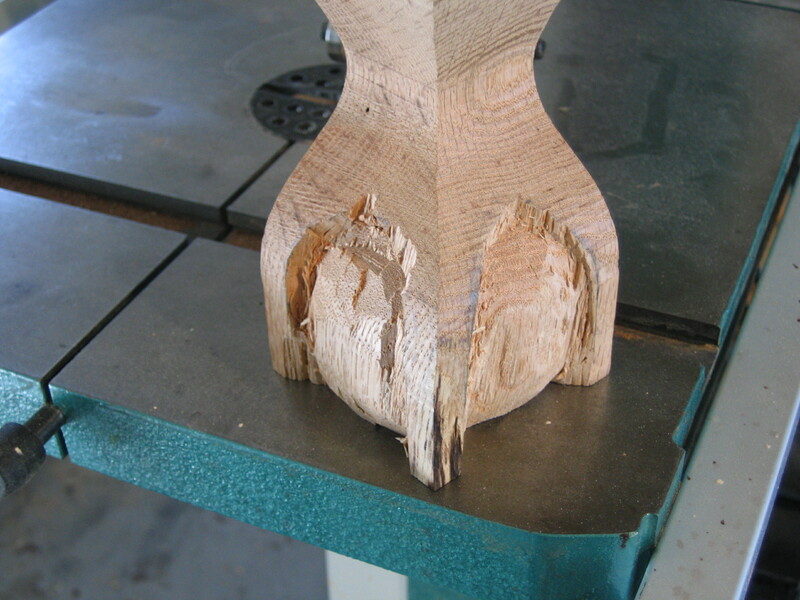 I used mortise and tenon joinery to assemble the base. There is actually two of these, a top and a bottom base. The next step was to build side panels that would accept glass. After the top and bottom base and both sides were completed, I put them to the side. Something had been in the back of my mind the whole time I was building them, I now had built up enough courage to start carving the legs. 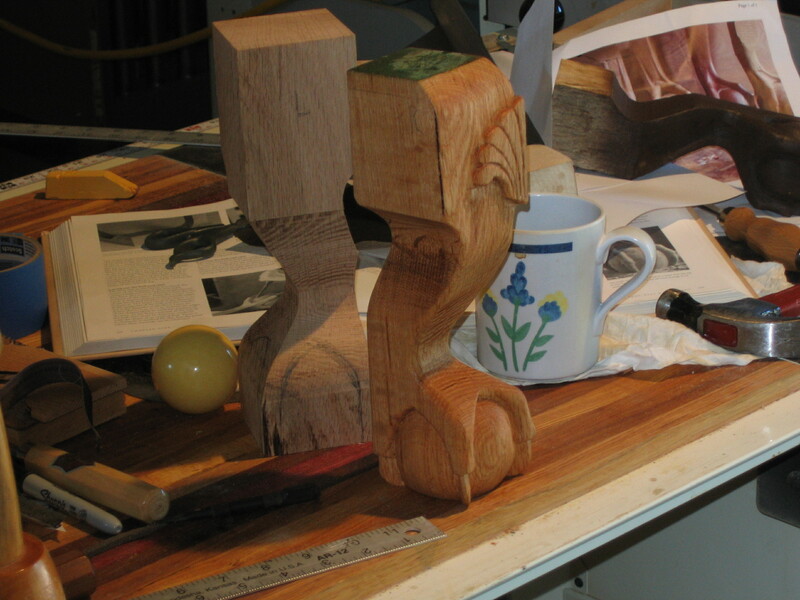 The ball and claw legs start out with a couple of oak blocks 3.5 inch square and about 12 inches long. 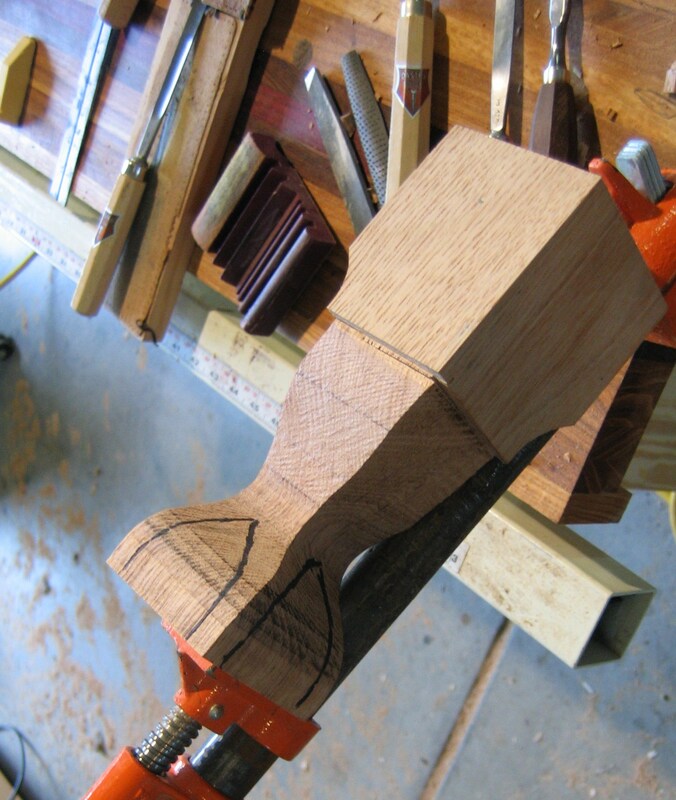 The “cabriole” leg pattern is drawn on two different sides of the block to make the curved leg . This pattern is then cut out on a band saw then smoothed out with rasps and sanded. 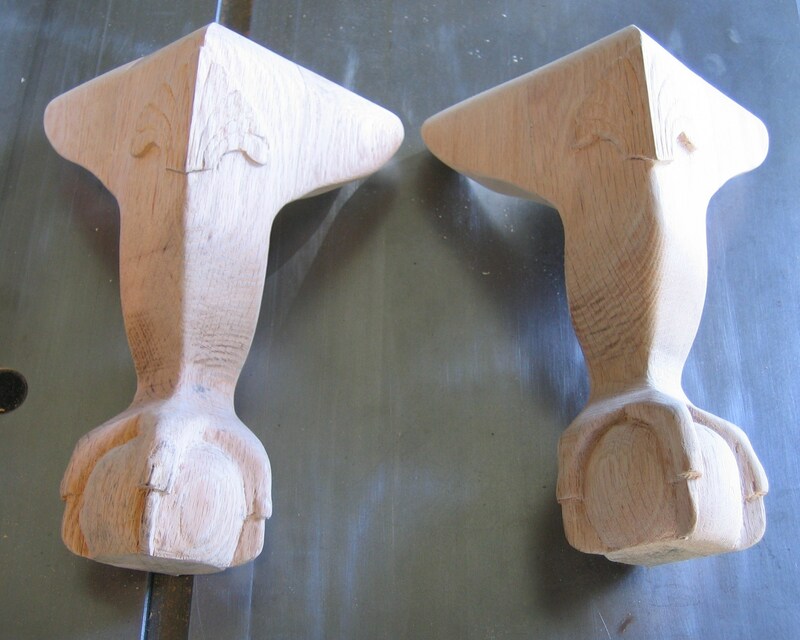 The origin of cabriole legs dates to the time of ancient Chinese and Greek furniture makers. However, the name cabriole, as applied to this kind of furniture leg, is a fairly recent development, dating from its use in the 1700s in the French Rococo style period. The word cabriole is derived from the French word cabrioler, meaning to leap like a goat. 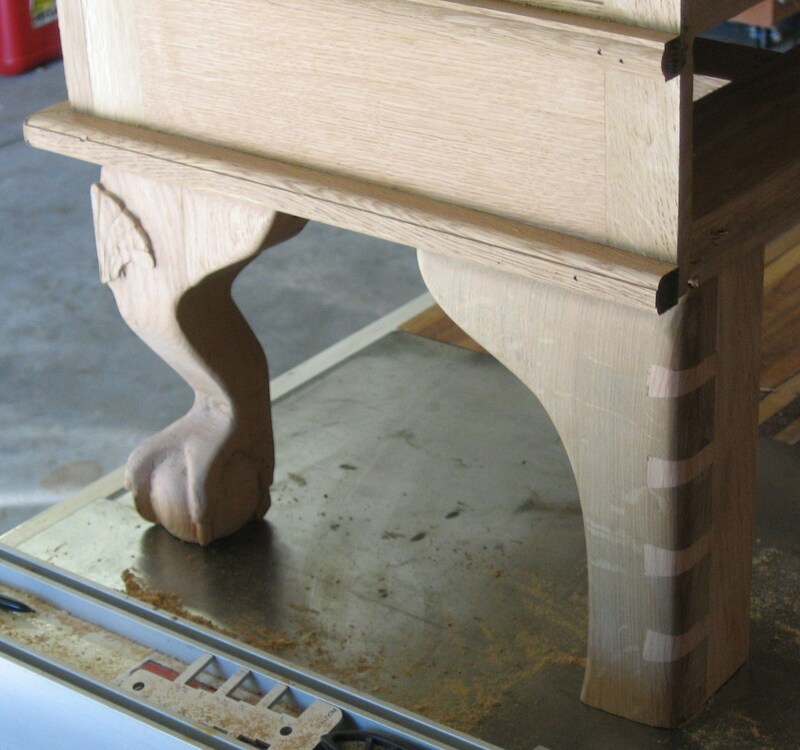 The shape of the furniture leg looks very much like the structure of a goat’s rear leg. Cabriole legs can end in various ways. If they date from the Queen Anne period, they will usually end in a delicate pad or paw shape. If the leg is made in the Chippendale style, they will typically end in a ball and claw. Sometimes they just end in a ball. 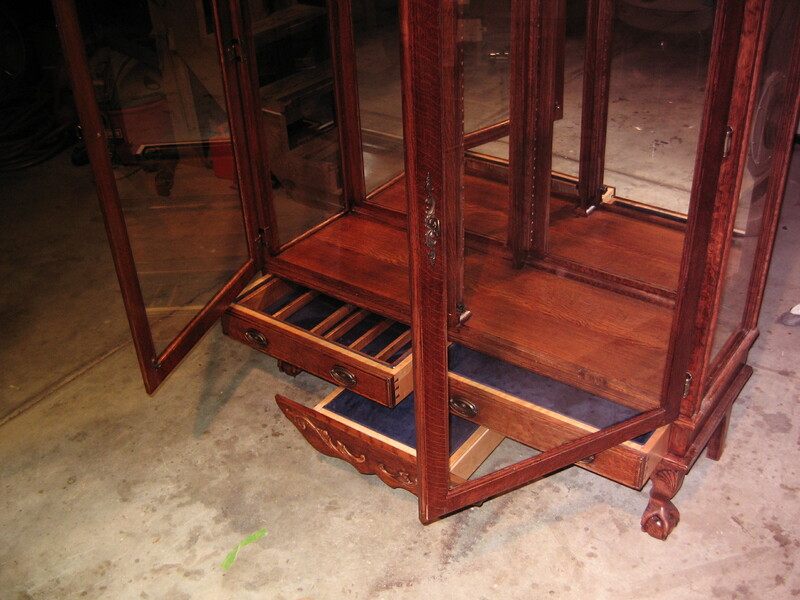 The popularity of the cabriole leg persists in furniture design today. This type of leg can give a graceful appearance to a piece of furniture. Despite their delicate appearance, cabriole legs are well-balanced and can support relatively large pieces of furniture. To form a ball and claw foot and carve the shell, I cut the legs fatter than normal. This gives me the extra material I need for carving. I then draw the general area the claws will be carved. I also draw a pattern on the bottom. 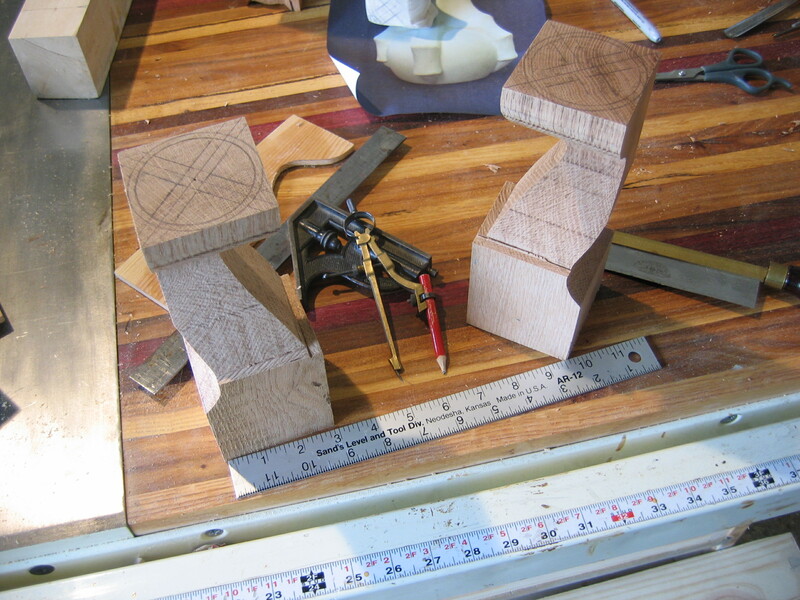 The pattern serves as a reference as I cut and chisel out the form. 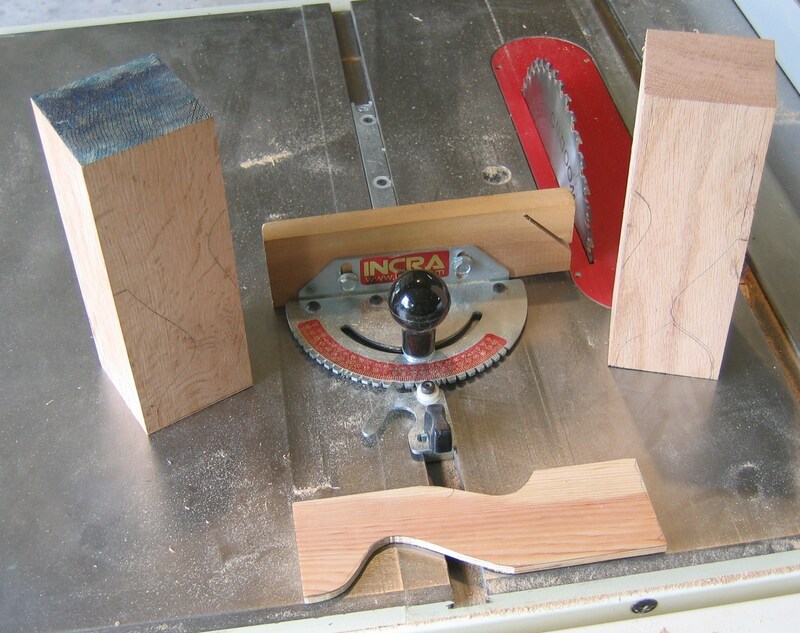 Using the saw as shown below, I part the wood between the ball and claw. 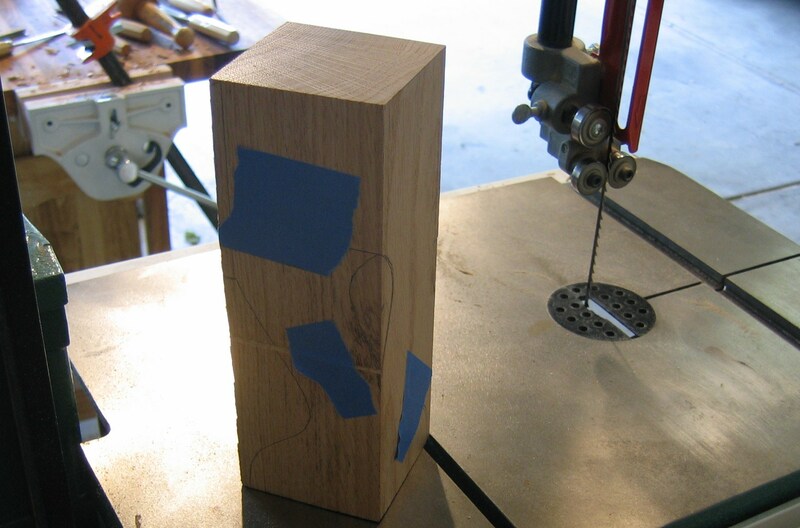 This allows me to chisel the form of the ball without worry of splitting off a claw. As I work it helped me to have a cue ball within site for size reference. At this time, my carving leaves a lot to be desired. I love to do this and hopefully with practice and time I will become more proficient. 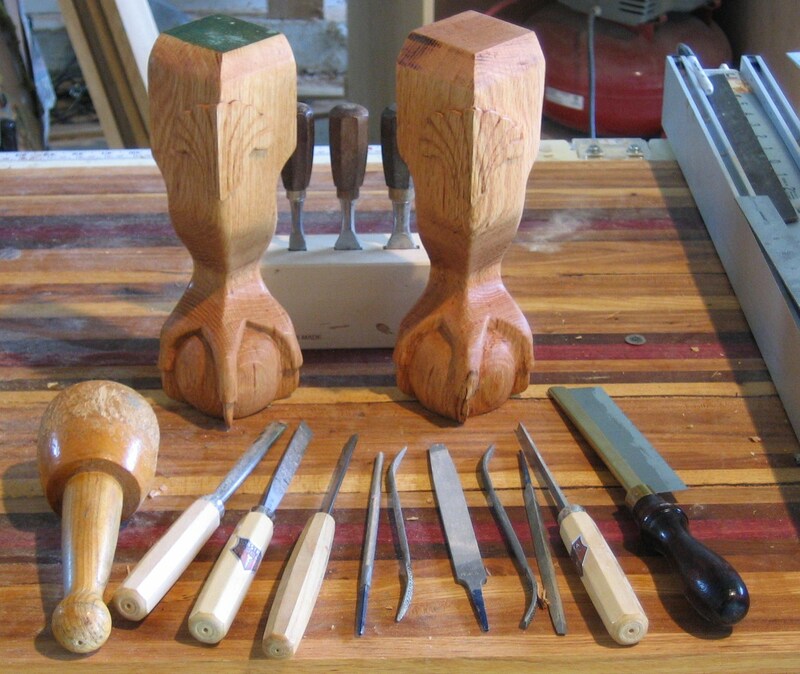 Learning to keep one’s chisels sharp is an art all its own. Note the cue ball in the background. Once the ball and claw are roughed out, I start scribing the shell design with a “V tool”. I cut and separate the outer design so that I can remove the surrounding extra material. 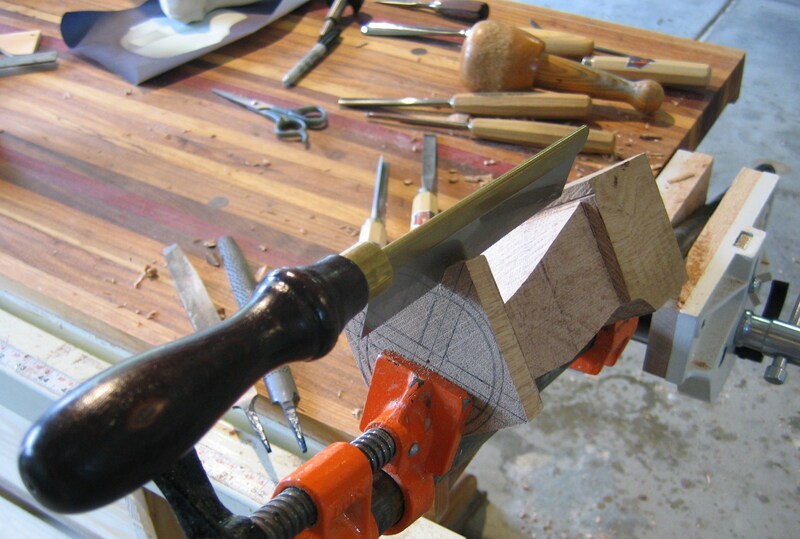 Once the design is completely scribed, I use a gouge to remove the surrounding wood. 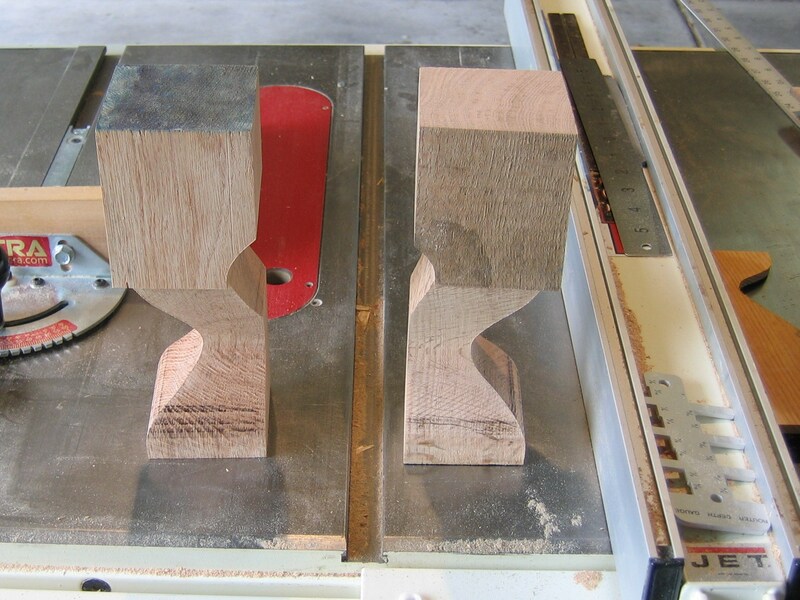 Then I use small rasps, rifflers and sanding accessories to finish out the leg. Now that the front legs are complete, I manufacture the back legs. 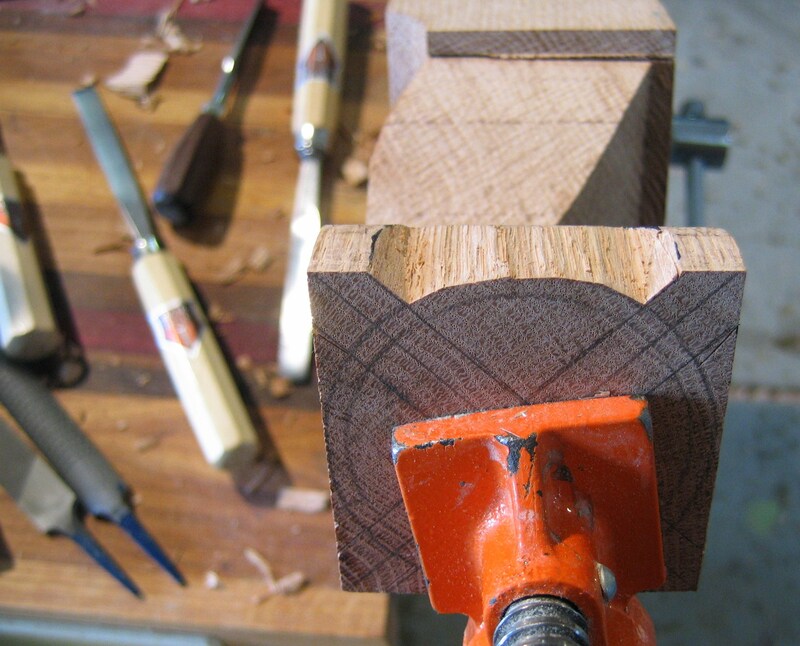 They are dovetailed together. All four legs are attached to the base. 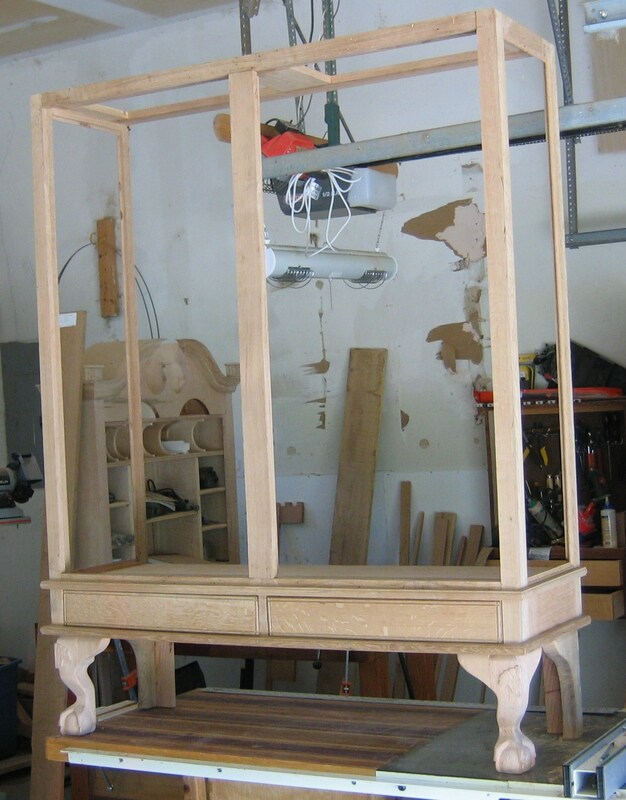 The basic structure of the hutch is then assembled. After all this is completed, I construct the doors, drawers, and inside panels that will accept the glass shelves. 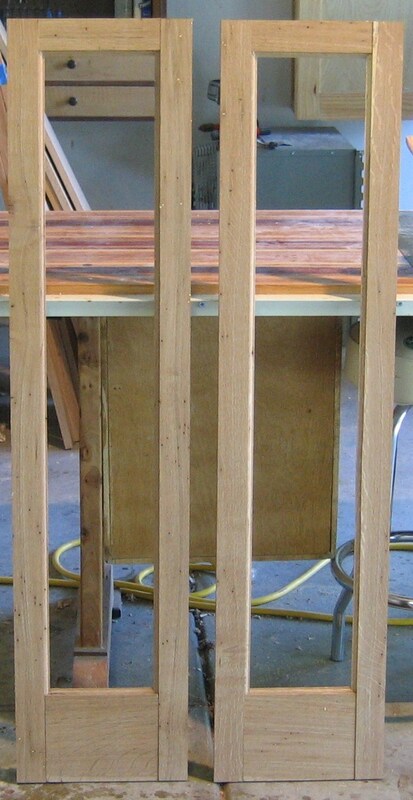 The last picture shows how the recess on the inside top is constructed. At this point, I assemble the top and cut out the design for the top and bottom pediment. 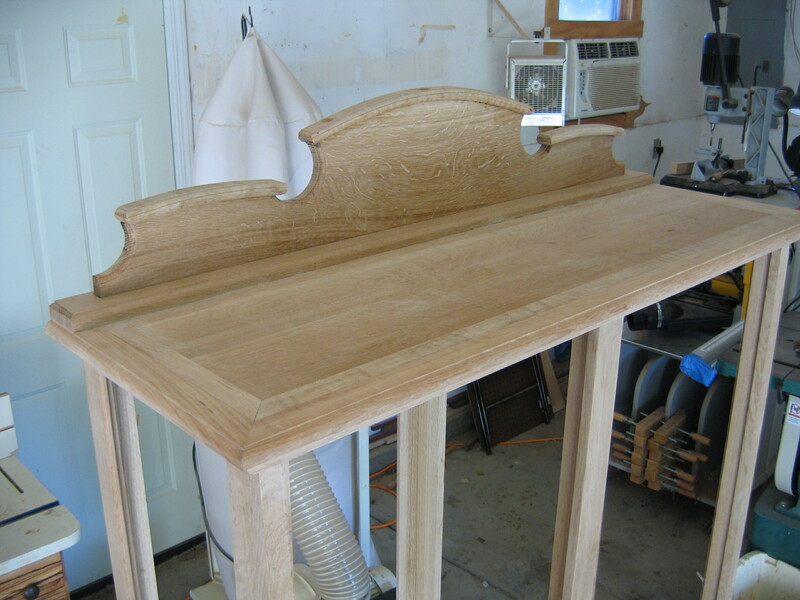 The top is a couple of real pretty quarter sawn white oak pieces. I then wrap the front and sides in red tiger oak. 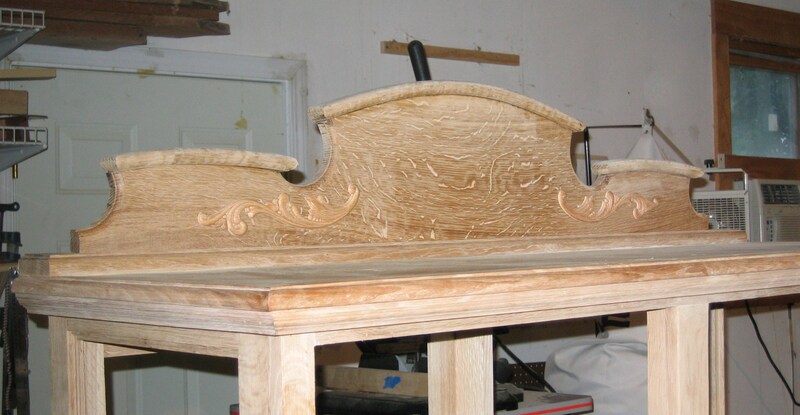 The top pediment is another beautiful piece of white oak with a lot of “flecks”. 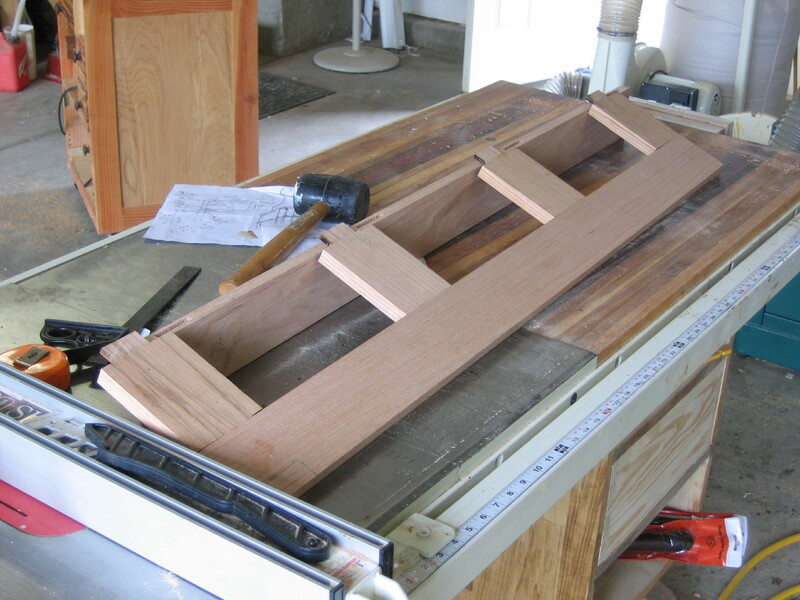 I cut the design out on the band saw, then steam bent some small pieces to attach to the pediment. I found some wonderful oak appliqués that went well with the piece. I applied them to the top and bottom pediments. I add all the trim around the bottom case and do some finish sanding and the project is ready for color. 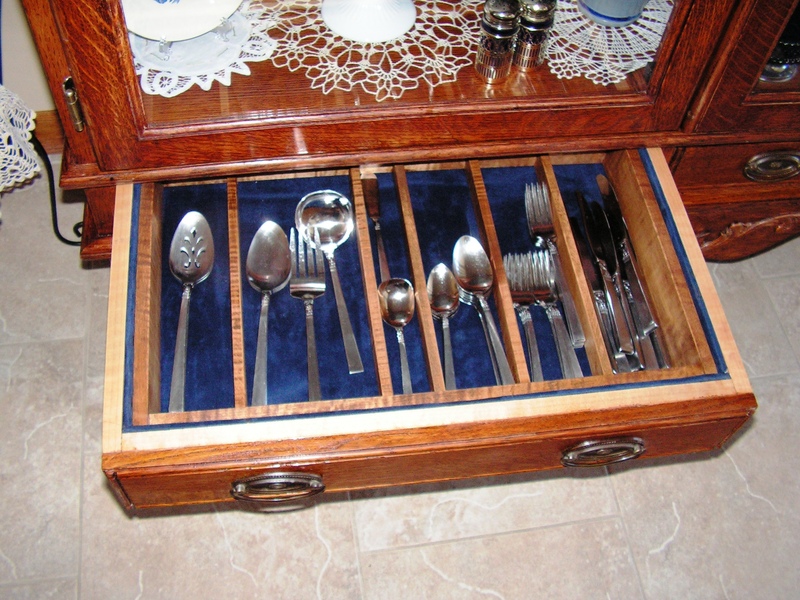 After the piece is finished, I added dark blue velvet to the drawers. This is the stage I install glass and mirror. 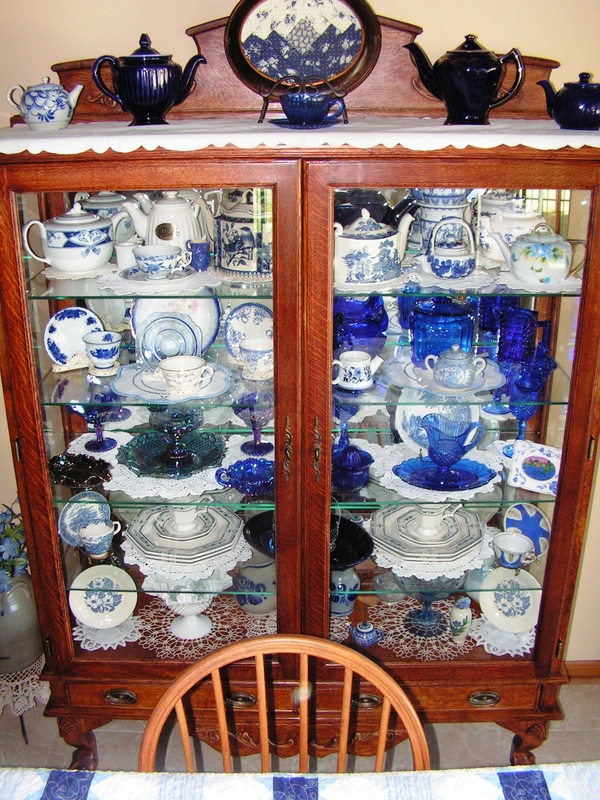 I use quarter round oak to retain the glass. Here are various pictures of the finished piece. Note the bottom pediment also serves as a secret drawer. Below are some final pictures of the piece in the customers home.